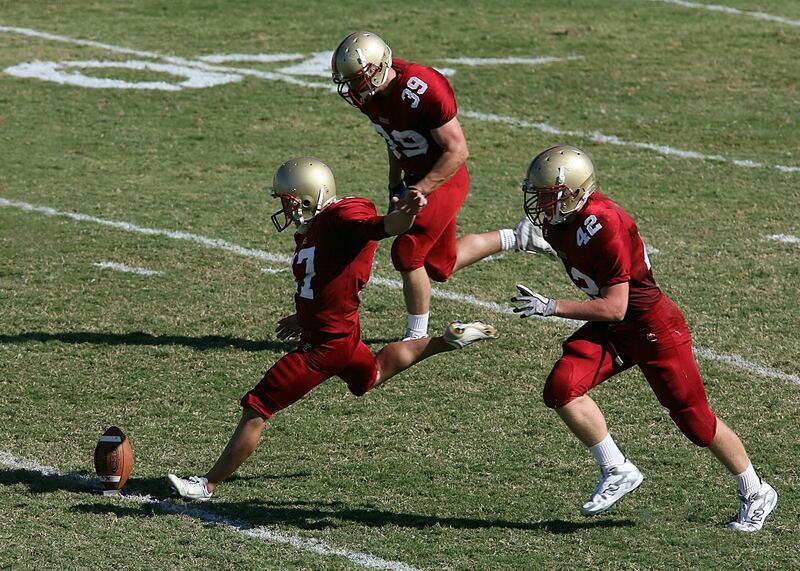 Injuries are common in physical sports. Football, for example, is a high contact sport which can have disastrous results if you are not careful or if you don’t have the right equipment on to prevent such injuries from happening. Now, most people believe that as long as you have a helmet, some shoulder pads and a good pair of cleats on that that is enough protection for someone on the field. Adding more would hamper the player’s movement or performance. Sadly, that is not so. The more safety equipment the player has, the better it will be for his health. And that’s why we’re going to talk about the best football mouth piece in the market today. What would be considered the best football mouth guard? The mouth piece is an oft overlooked protective gear that actually provides one very vital role. It protects the mouth of the player from injuries but it also protects the player from concussions because it prevents your teeth from hitting together when you get hit or hit someone. Basically, a Football mouth piece or mouth guard is a dental device secured inside a player’s mouth. This helps to protect the interior area of the mouth from injuries like teeth breaking or getting uprooted caused by forceful blows to the head. Mouth pieces are shaped like half-moons and can be fitted to a player’s mouth. To make it fit better, dunk it into a cup of warm water before placing it inside your mouth. The warm water will make it more pliant and it will mold better to your teeth once you pop it in. Football mouthpieces come in many shapes and sizes. There are mouthpieces with full lipguards. There are basic mouthpieces that only fit the top part of the teeth and then there are some that protect both the upper and lower set of teeth. There are specially designed mouthpieces and then there are custom designed mouthpieces that are only fit for certain NFL players. Mouthpieces are also priced differently. Basic ones usually cost somewhere around $5 to $10 while specially designed ones cost anywhere from $30 and up. Known as one of the most prominent sports brand all over the world, Battle Oxygen continues to develop the best football mouth pieces in the market today. 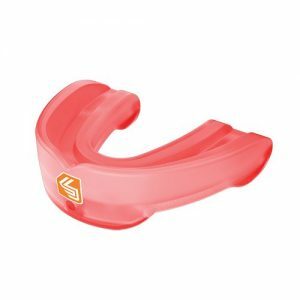 The Battle Oxygen Lip Protector Mouthguard provides protection to your lower and upper teeth plus, it also protects your jaw from hard collisions. The Battle Oxygen Lip Protector Mouthguard allows sufficient air flow which is its main selling point. Made from dual density material, this mouthguard can also absorb high amount of shock upon impact and direct it away from the center. This is a high quality piece of equipment that Battle Oxygen is known for providing to both pro and amateur athletes. The Shock Doctor Adult Low-Profile Convertible Lip Guard is one of the best picks for mouth pieces not only in football but, also in other sports. This Mouthguard protects all of your teeth and has an additional protective covering for your lip area. It has also been proven to be comfortable to wear and allows a high level of breathability. 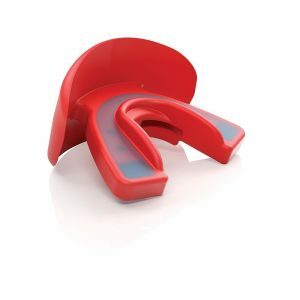 The customized Gel Fit on this product allows correct teeth alignment which allows a firmer grip on the mouth guard when you bite down on it. A football mouth piece with lip guard like this one will surely give you a different experience from regular mouth guards. Are you tired of having that rubbery or plasticky taste in your mouth when you bite on a mouthguard? Well, why don’t you give the Shock Doctor 6800 Adult Gel Nano Flavor Fusion Mouthguard a try? The Shock Doctor 6800 Adult Gel Nano Flavor Fusion Mouthguard is one of the best examples of flavored football mouth pieces in the market today. Although the main selling point for these mouth guards is the fact that they taste good, this Mouthguard also has the ability to protect both your upper and lower teeth from strong impacts from any direction. Because is very pliant, this mouthpiece feels great and molds perfectly to your teeth when you bite on it. You’ll have to warm it up first though. And just in case you get tired of that lemon lime taste, there are other flavors to choose from. You might want to give BlueRaz a try. That taste seems to be a hit nowadays! Got braces? Good luck trying to fit standard a standard mouthguard over those! Having braces used to be a hindrance in the past for some athletes. Is it any wonder why some of those guys have messed up teeth? Well, they’d rather have crooked teeth than not have the chance to play because their braces stopped them from wearing mouthguards. Now that’s dedication! Well, not anymore, The Shock Doctor Double Braces Strapped Mouthguard is here and its specially designed to fit for people who have braces! The Shock Doctor Double Braces Strapped Mouthguard has a triple layer feature to allow it to conform to each individual’s teeth structure. And just like all other mouthpieces, these are durable enough to withstand a lot of damage. Last on our list but definitely not the least, we have the Vettex Adult Football Mouthguard. This is one of the top choices for the best mouth guard for football because of the high quality protection it can provide to any player. This specially designed mouth piece is made up of highly pliant thermal rubber that fits better in your mouth the longer you use it. The Vettex Adult Football mouthguard also has a lip protector to provide more safety to you. 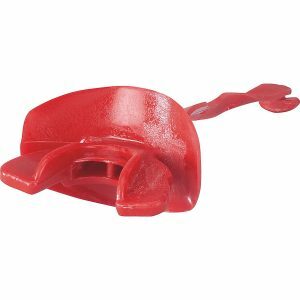 This mouthpiece also features a strap that you can secure to your face guard so you can remove it from your mouth every now and then especially if you need to hydrate. Talking may be an issue though because of the overall size of the mouth guard but that’s a small price to pay for the security it provides. And there you have it, now all you need to do is dunk those mouthpieces into a warm cup of water for 5 to 10 minutes and they should be ready to use.